Was sind meine größten Herausforderungen? Welche Lösungsansätze bieten sich mir? Our client was a group specialised in the B2B distribution of spare parts and accessories of household appliances with a turnover of €35m. Its persistent challenge was to obtain the best possible prices on the articles it resells and the best customer care service compared to its competitors and new entrants specialised in B2C transactions. A key to successfully tackle this challenge was the development of the group in Germany. Victanis was commissioned to perform an in-depth analysis of the German market and to propose realistic market entry scenarios through organic growth or acquisitions. Prerequisites, opportunities and associated risks were identified for each scenario. The market study included a mix of primary research (interviews with selected stakeholders) and secondary research. Victanis then organised a roadshow for their client in Germany to meet possible customers and suppliers and help decide therefore on the most appropriate scenario. Following the delivery of its recommendations, Victanis is currently leading the implementation of the mixed strategy that has been chosen by their client and which includes some organic development in one region and some corporate development in another. In addition, the analysis of the German market made it possible to better assess the threat posed by the B2C players and consequently has confirmed the need for a swift internationalisation of our client's business. For many businesses, international expansion has been elevated to more than just another challenge and has instead evolved into a true business..
International growth is rightly considered to be one of the key drivers behind the growth of a business. 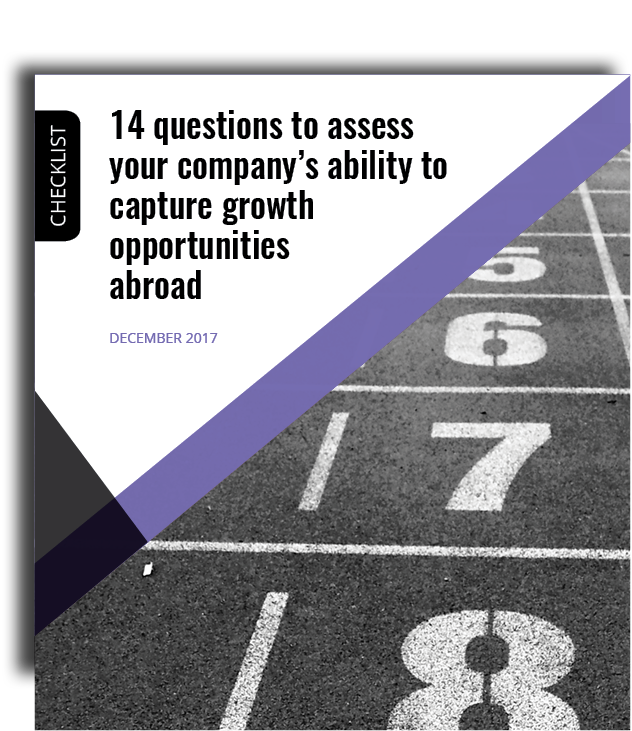 As ever, this process needs to be led with..
You may be wondering how to evaluate your business’s opportunities to grow internationally. Perhaps you are familiar with the strategic diagnosis..
Ready to go abroad? Before you dive in, here's a checklist of 14 questions to answer.